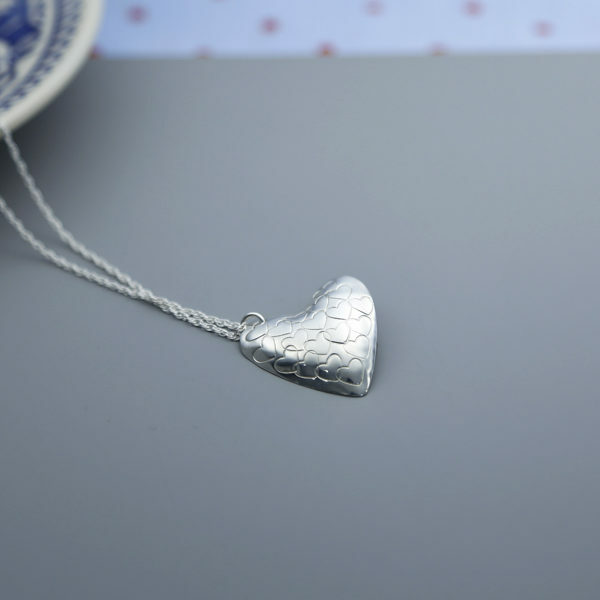 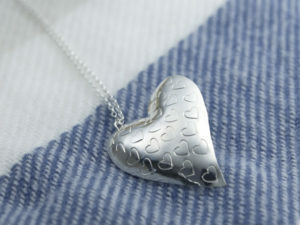 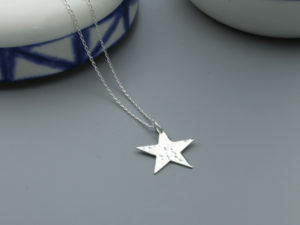 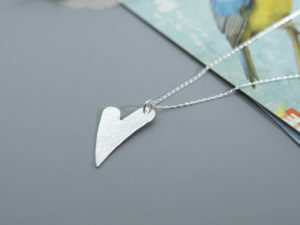 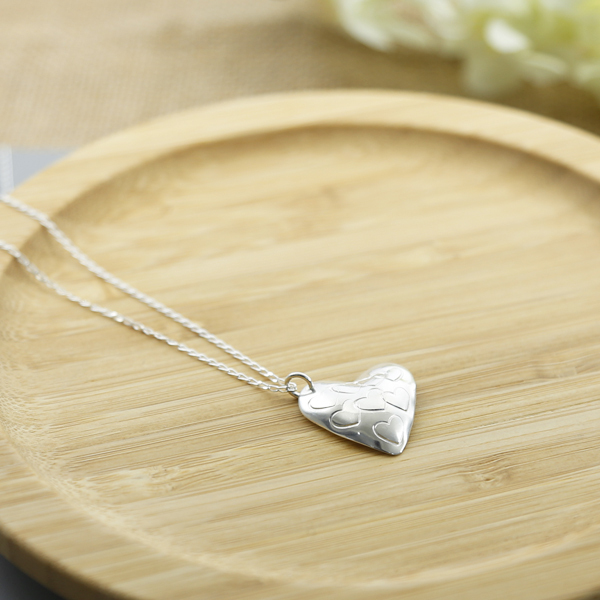 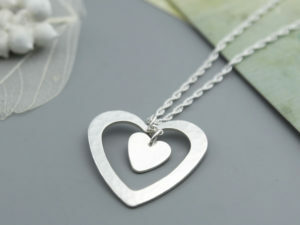 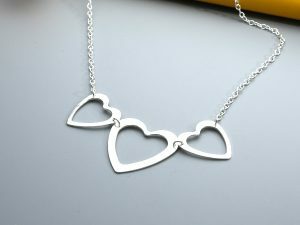 A beautiful sterling silver heart, stamped with an array of hearts. 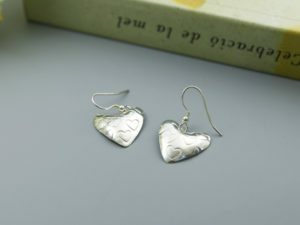 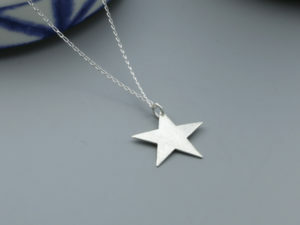 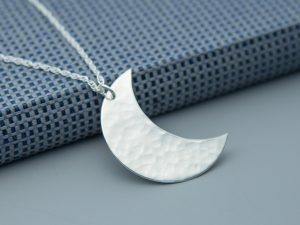 Matching earrings are also available and is presented in a gift box. 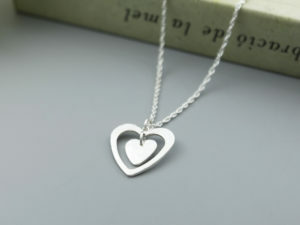 Please note, item may vary slightly from photo.